Charles M. Gray was born in Maine; he moved to Duluth in the early 1880s with his wife Ida and children to work as the secretary of Northwestern Loan and Investment Company. The Gray family lived in a house a block away from the Terrace. 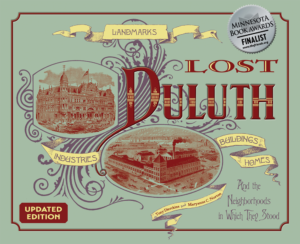 They left Duluth in 1896 and moved to Detroit, Michigan. Gray Terrace was eventually divided into apartments and was used as such until it was demolished in 1973 when Mesaba Avenue was widened.